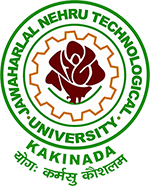 JNTUK 1-2 question papers: JNTU Kakinada B.Tech 1-2 Sem (R16) Supply Exam Question Papers Nov 2017, jntu kakinada 1-2 supply previous question papers download. JNTUK B.Tech 1-2 Semeter R16 Regulation Supplementary examination question papers November 2017 are uploaded below. Click on the respective subject name to Download required question papers. All branches like ECE, EEE, Civil, CSE, Mechanical JNTUK B.Tech 1-2 Supply question papers are Updated. NOTE:- All Branches 1-2 Question papers are updated. Remaining Branches QP’s also update soon. Any subject link not working, feel free to leave your comment below.